Adapting the PR Evolution - Dominguez Marketing Communications Inc.
Is print media really dying? We have come to accept that people no longer consume media the way they did ten years ago, not even five years ago. Most people nowadays open their Facebook accounts first thing in the morning. We Tweet all our activities blow by blow as it happens. We check the latest news using our mobile phones. We even use our iPhone or Android phone as traffic navigators. Has the world gone cold? How did social networking change the way we communicate with each other? Whatever happened to face to face interaction? Has technology divided us? Or did it do the opposite and actually made the world smaller – bringing people closer together and communicating in real time across continents, in lightning speed. Same is true in practice of Public Relations. When I was starting out as a PR practitioner 20 or so years ago, media rounds and regular visits to the publications were part of my weekly activities. Sure the traffic was just as bad then, but when you get to your destination, you won’t be disappointed. You will actually see the journalists and editors working in the newsrooms. These days most of them are telecommuters. Don’t pay them a surprise visit, they might just be elsewhere – reporters and editors alike. Don’t be surprised too that some editors have never actually met their own reporters in person. During those days, the newsrooms were bustling with activities and so full of that “panic” energy. Journalists sat side by side barely speaking to each trying to beat their 5PM deadlines. Editors had time to actually mentor the journalists, scolding them when they don’t get their stories right, guiding them and challenging them. How many times have I heard them say, “a press release is not a story”. Sure, we used technology to get to them. We sent our press releases via Fax. We invite them to our press conferences through pagers. If Facebook is the ultimate “in” thing now, it used to be the MIRC chatrooms then. With the intrusion of the internet into our daily lives, I actually lurked into chatrooms to reach out to the journalists. That’s all a thing of the past. Technology has definitely changed the landscape of the world. Same is true in the practice of PR. As technology moves forward and changes society irrevocably, the practice of public relations should evolve accordingly. It’s all up to you to adapt or be left behind. We must be flexible, we must be open to change; we must innovate. The savvier of PR practitioners put out pages in the influential social networking sites, leveraging the endless hours spent by hundreds of millions of people across the globe in what is proving to be a compelling agora of ideas, visuals, and conversations. You look at a glass half empty or half full. For us PR practitioners, it is an opportunity to engage our publics on a level more intimate than we have ever known. Our access to both the personal and professional lives of the journalists we deal with allow us to establish even stronger relationships with them. It gives us an idea of how we could tweak the messages that we send to them in order for them to be more receptive or understanding of such messages. But that is just one facet of this gem. The Internet as it evolves makes the conduct of business more cost efficient and effective with the advent especially of newer and newer communications technologies. We are more connected with our colleagues and our sources of information, hopefully making us better at our jobs. Because of this we are able to reach a wider audience, challenging us to become more sensitive to international and cross-cultural practices that could lead to the globalization of the PR practice in the Philippines. Nobody really knows how technology will pan out, where the next big idea will come from, who will dominate the next generation of media, or what it will even look like. Nobody knows how society will assess new sources of information and where the increasing power of the individual to communicate with the world will take us. All we know is change is constant and this constant should motivate us to evolve into even better versions of our old selves. So now, get moving – get a Facebook account or a Twitter account if you have not done so. 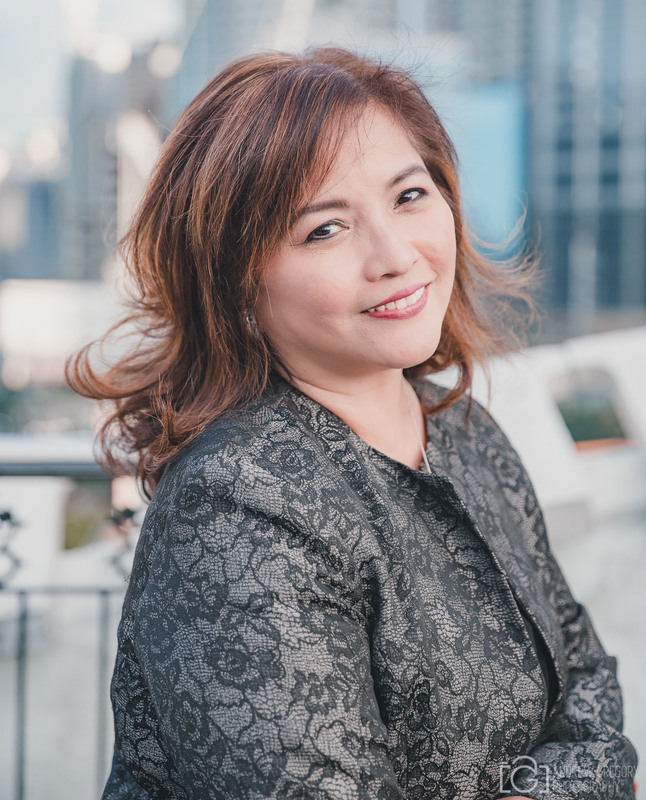 With only a business card, a laptop, and a whole lot of guts, Mel Dominguez founded Dominguez Marketing Communications back when IT was an untouched territory in the early 90s. From a kitchen-based offitce to now one of the most respected PR Agency in the Philippines, Dominguez Marketing continues to be an industry leader trusted by leading firms both locally and internationally, with over two decades of experience under its belt, launching many brands in the Philippines which includes Cisco, HP, Netflix, and Twitter to name a few. Mel Dominguez also founded Events @ Work, the marketing arm of Dominguez Marketing Communications.